This file has been reported as broken because: Can't download file, target website is down. 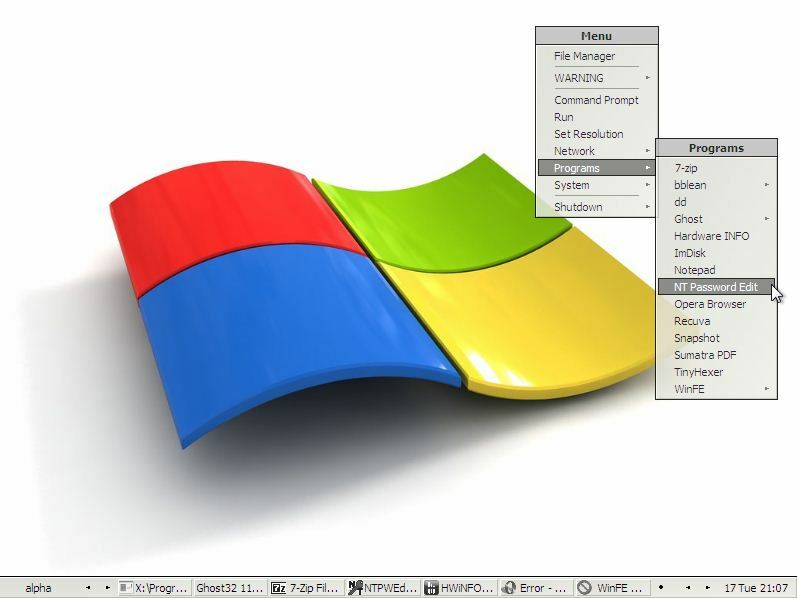 This is a minimalist 32 or 64-bit WinPE/WinFE with a GUI shell (BBLean - based on BlackBox for Windows) - originally created for system deployment, backup, restore and recovery. Use this project to create WinPE (version 2.*/3.*/4.0/5.*/10. *) in a matter of minutes from Windows installation media - a DVD, local folder, network share or mounted disc image. WAIK/ADK is not required. There is also an option to collect the necessary files from the host operating system used to run winbuilder - Windows 7/8/8.1 supported. Credit to Erwan.l whose QuickPE project pointed the way to the required commands. This option requires that WinRE be copied from the C: drive - if WinRE was not copied to the C: drive during the Windows install then it won't be possible to use this method. A successful build every time! WinBuilder version 82 is included in the download. This project has been tested on Windows Vista (SP1)/7 (SP1)/8/8.1 host Operating Systems and is also reported to be working on Windows XP (SP3).